The Toyota Camry has disappeared from the company's official website in India. Next-gen model expected to go on sale early in 2019. 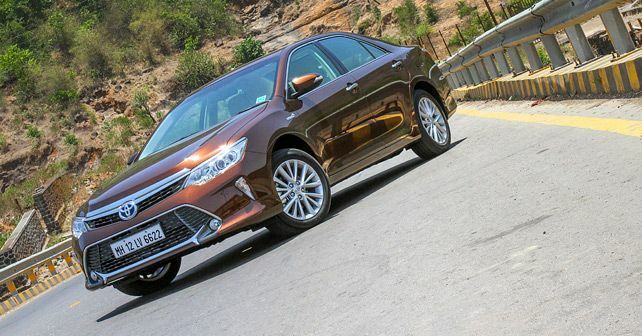 Toyota India has pulled the plug on the Camry sedan in India. The company has silently removed the sedan from its official website and the sales of the seventh-gen model have been discontinued in the country. Offered only in Hybrid derivative lately, the Camry’s sales were on a downward spiral as Toyota India only sold 8 units of the sedan in October 2018. Having said that, the departure of the current model will eventually make way for the all-new eighth-generation model of the Camry, which is already on sale in global markets. The updated Camry is expected here in India early in 2019. Now while the old car is car gone, the upcoming model is definitely worth looking forward to, for it’s based on an all-new platform and looks much sharper than before. The new Camry will be underpinned by Toyota’s TNGA platform, which brings some significant weight savings owing to the use of high-strength steel and reinforced materials in its construction. Toyota even goes on to claim that it’s going to be a nicer car to drive. On the inside, the new Camry features a cabin that’s been completely redone, bringing it in tune with the times. There are soft-touch materials, a new centre touchscreen, head-up display, and a new instrument cluster. The design and layout have changed dramatically too, with the whole dashboard being centered towards the driver. Globally, there are three engine options available with the new Camry - a 2.5-litre four-cylinder and a 3.5-litre V6 petrol engines, and a 2.5-litre hybrid engine. And it’s the latter that’s expected to land on our shores first. The hybrid powertrain is rated at 215bhp and comes mated to a six-speed CVT automatic gearbox. When launched, the new Toyota Camry is expected to be priced more or less in the same price bracket as the now-defunct model. This implies it’ll have a price tag ranging between Rs 38 lakh-Rs 40 lakh, ex-showroom.